On Thursday February 23rd, 2012 (Jeudi 23 Février, 2012), we celebrate the name LAZARE. You won’t meet many men named Lazare anymore in France – this name was more popular before the 1900’s but when we hear Lazare we think about the Gare Saint Lazare (Lazare Train Station) – one of the 6 grand train stations in Paris. The Gare Saint Lazare is located on the Rive droite (i.e right banks or northern bank of the Seine). 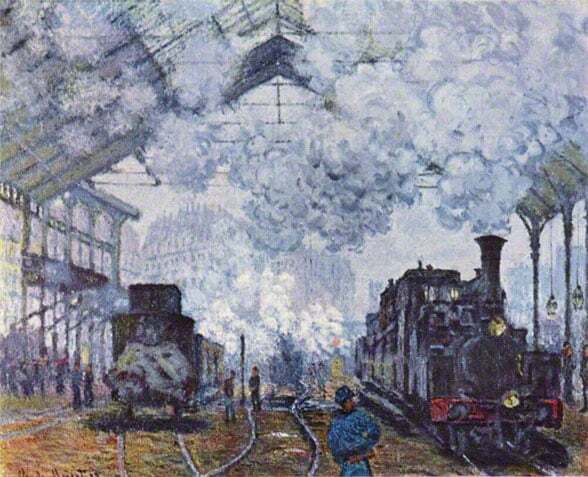 Many artists painted it (see Monet’s Gare Saint Lazare below) and Émile Zola also talked about in some of his Rougon-Macquart novels.